Heartly Condolence! 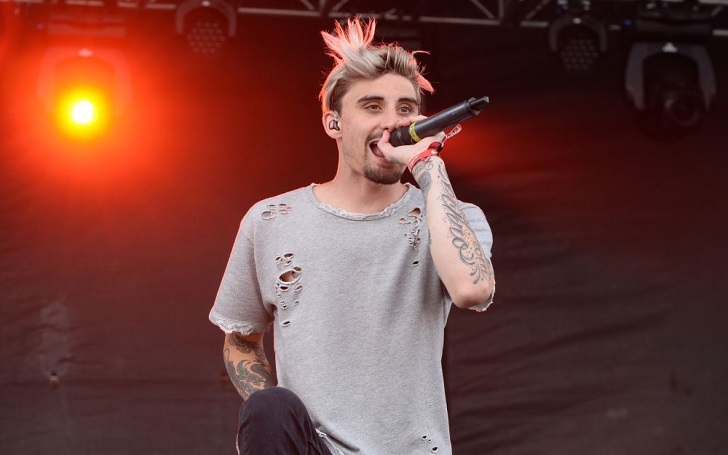 Kyle Pavone, the lead singer of metalcore band We Came as Romans, has died at the age of 28 on Saturday, August 25. The tragic death of Pavone was announced by the band, who took to Instagram to share a statement on his passing. Today music lost another great with the passing of Kyle Pavone of We Came as Romans. Kyle’?s tragic loss came too early in his life and those of his bandmates. All are devastated by his passing. We will miss his smiles, his sincerity, his concern for others, and his impressive musical talent. It continues, "The family and the band wish to thank their fans and the music community for all of their love and support as they navigate their grief." Here's the sad post, check it out. His cause of death is yet to be revealed. We Came as Romans aka WCAR was founded in 2005 in Troy, Michigan, and it originally went by the name "This Emergency." Bandmate Joshua Moore also shared a photo of himself and the late vocalist to confirm the tragic news and to pay tribute to him on Instagram, writing, "I love this picture so much because it shows you how I’ll always remember you. The craziest, goofiest, most funny and lovable kid. I miss you so much." Following the tragic news, plenty of artists, bands and friends took to social media to share their condolences. Musician Trevor Wentworth tweeted, "Wow. RIP @kylepavone we were just talking a few days ago about writing some music together." I’ll see you on the otherside, Here’s to hoping they’ll have a fresh copy of NHL for us to play together. ?? Of Mice & Men vocalist and bassist Aaron Pauley, meanwhile, wrote, "RIP @kylepavone. You were an energy all your own." Here're other reactions shared by celebrities, bands and artists on Pavone's death, check them out. Saddened by the passing of @kylepavone. I will always remember the big smiles and warm greetings whenever we would run into each other. You will be missed but our memories of great times will live on ?? Our hearts go out to our dear friends @wecameasromans and @kylepavone family. We love you guys and are thinking of you all during this tragic time ?? Truly heartbroken by the news of @wecameasromans Kyle Pavone passing. In the short time I had the pleasure of knowing him he was truly a creative and I loved working with him on our song. Condolences to his friends, family and bandmates. You be missed by so many. Rest In Peace Kyle Pavone!